From the first time I felt clay moving on the wheel, molded by the pressure of my hands, it took on nearly magical qualities for me. It can be formed and shaped while wet, then fired in a kiln, forever changing it into something that will stand the test of time. Again and again I am drawn back to the wheel to improve and refine my work. Working with clay, I am able to satisfy my creative instinct, coaxing it into pottery with classic, simple lines that reflect my worldview. With so much mass production in our lives today, there is special joy for me in creating handmade functional art; each item designed to co-ordinate with the others, yet each one unique, showing the human touch. I have had a life-long interest in art and was taught from an early age by my mother, a gifted artist. At age 9, I was invited to exhibit my watercolor paintings with the regional Artists Guild, in my hometown of Salisbury, NC. My friends and family were surprised when I choose to pursue a career in business, rather than art; but after 20 years in the textile and apparel industry I left my position to recreate my life. In May 1997 I took my first lesson in wheel-thrown pottery and nothing has been the same since. I spent many hours each day developing my craft. 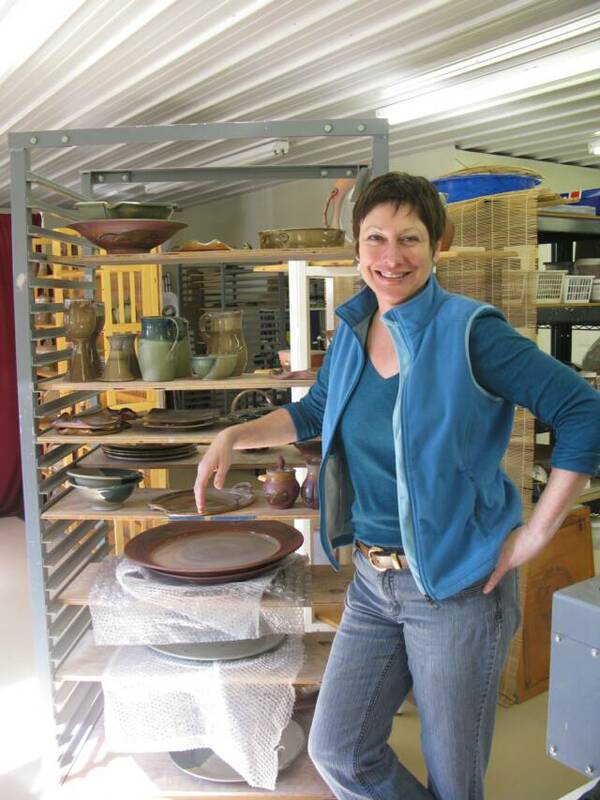 In January 2001, I ventured into business as a full time potter. Since then, I have sold my work to more than 70 galleries and shops in 25 states. I work with a light brown stoneware clay body. All pieces are wheel thrown or made from altered extrusions. Every piece is individually handmade using no forms or molds. After the pieces dry to a completely bone-dry stage, they are bisque fired at 1800F for a total of around 10 hours. The work is then cleaned and glazed using a combination of dipping, spraying, brushing and trailing. The final firing is made in an oxidation environment in electric kilns at cone 4, approximately 2140F.